Our X-Stand Banner Large features full color printing capability to insert custom logo for Brand Recognition. High quality silver coated satin will take your banner to next level! 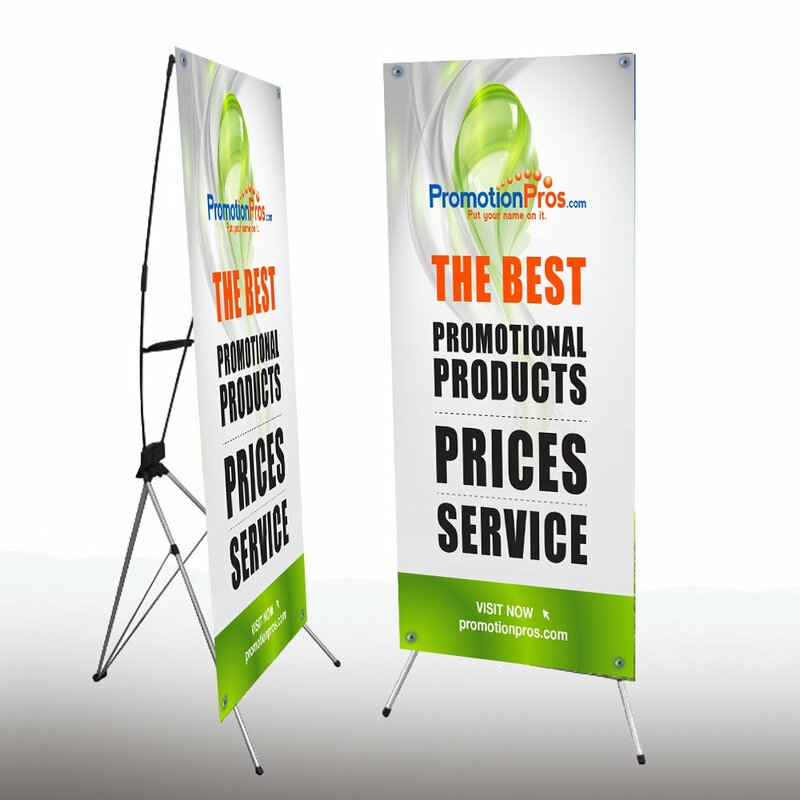 A lightweight and inexpensive way to promote your brand at various events and exhibitions, the X-Stand Banner features a large size for maximum impact. 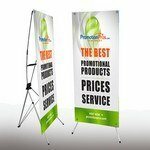 This is a portable banner, simple to use and lightweight, and fits any budget. Ideal for multiple events, this banner has a X-shaped aluminum frame with adjustable support leg and a high quality soft polyester material banner with full color custom printing capability. You can insert your brand logo, company name or advertising message on this banner for optimum brand visibility at any event. The X-Stand Banner Small features lightweight and sturdy aluminum construction and allows inserting brand logo and message to Promote your Brand.